Displaying 1 to 23 (of 23 products)	order by Products Name. Suitable for use in EIA. Infected cells are harvested and antigen extracted by alkaline treatment, sonication and detergent extraction. Glycoproteins are isolated by column chromatography using Lecithin. 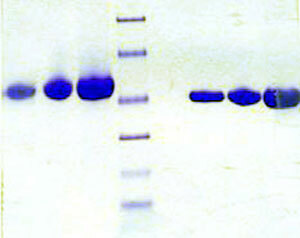 > 95% pureVLDL protein was purified using a a proprietary chromatographic technique.